Bob made some steak for dinner on Sunday and it was really tough so he was getting ready to toss it but I told him to save it and I would make some stew out of it and it would probably soften up after being in a crock pot all day and it did! This recipe comes from “Family Fresh Meals” and was easy and delicious, a perfect winter dinner. 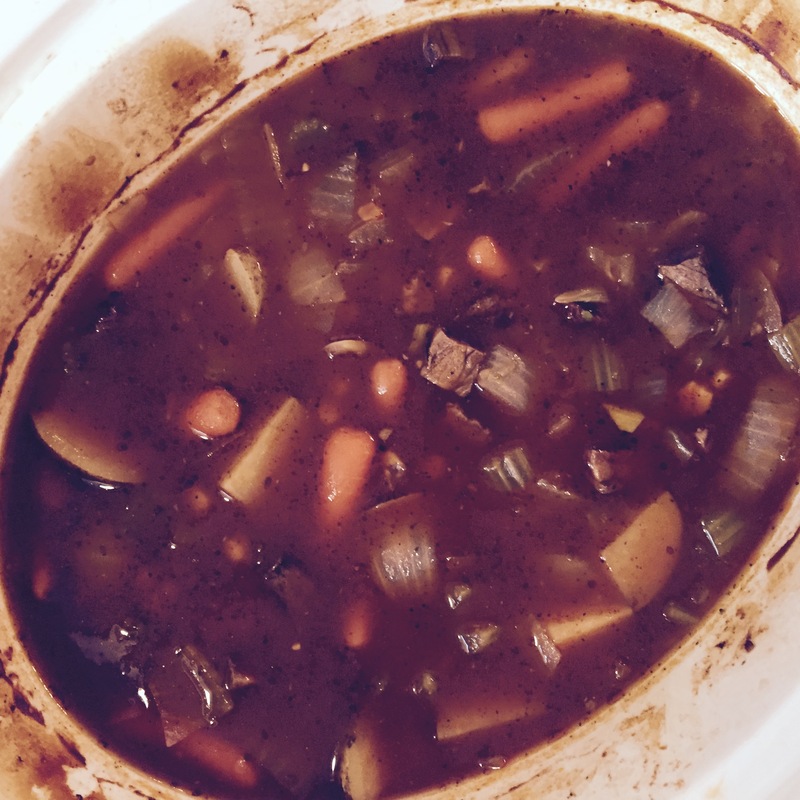 1 Combine all ingredients except last 4 in crock pot and cook on low for 10 hours or on high for 6 – 7 hours. 2 About 30 minutes before serving, mix flour and water together and pour into crock pot. Mix until well combined. (I forgot to do this.) Add peas and corn and cook for 30 minutes.